Winter may bring to mind bucolic scenes of homes covered in snow, smoke piping out the chimney, and icicles hanging on the roof eves. While it is true that winter brings ice, snow and freezing temperatures, there is nothing false about the toll winter takes on your roof. One of the worst offenders is ice dams. Take this little true or false quiz to learn some common misconceptions and the truth about ice dams. True or False: Ice dams occur when your attic is too warm. True. 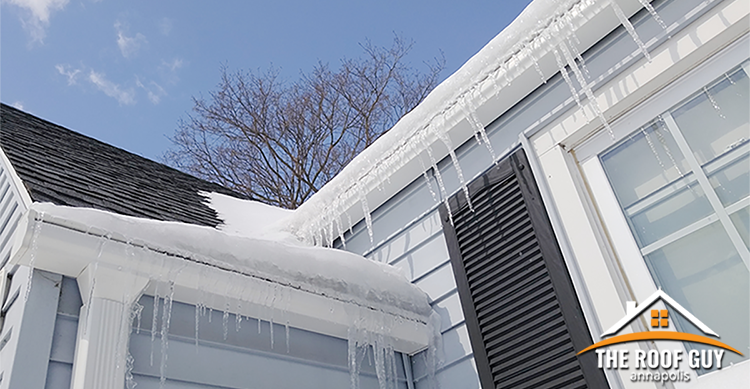 Roof ice and ice dams result from the escape of heat into your attic or roof space. The warmth builds up and melts snow or ice on the roof. It then runs to the edge, refreezes and forms an ice dam. The water that backs up behind the ice dam sometimes leaks into the home. Therefore, it results in damage to your walls, floors, ceilings, insulation, and other areas. True or False: The more insulation in your attic the better. False. This is almost a trick question. While insulation in your attic is essential, the RIGHT AMOUNT of insulation is crucial. You should never use so much that it hinders proper ventilation. Conversely, it must address air leakage into the attic and rafters. True or False: Ice Dams need to be big and thick to cause a problem. False. An ice dam as thin as one inch can cause major problems. Here’s why. No matter the thickness of the ice, it is the water that seeps up under the shingles and freezes and thaws that causes the most damage. So whether ice is stacked one inch or one foot does not matter, especially on low pitched roofs. The fact that a layer of ice is present is cause for concern and needs addressing. True or False: It may take a while for damage to show up from ice dams. True, and this is unfortunate. Often the water that an ice dam pushes into your home travels into walls and ceilings and is then trapped by vapor barriers and other materials until it finds release. Usually by the time you see water inside it has been there a while. True or False: You can DIY ice dam removal with rock salts and other ice melt products. False. Most often you will cause more damage with DIY ice dam removal. In the past, many homeowners used “salt socks” to address ice dams. This was a process of filling old socks with rock salt or other ice melt products and placing it on the roof. However, these products are very corrosive. 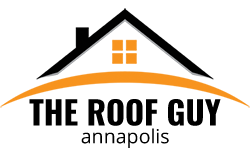 They may affect the integrity of your roof shingles and edges, as well as corrode your aluminum gutters. Steam applied by a professional is the best way to remove ice dams. True or False: Gutters cause ice dams. False. But, this is another tricky one. While the gutters themselves do not cause ice dams, clogged gutters with no drainage will. Make sure you are diligent about cleaning your gutters during the autumn. Otherwise leaves and other debris collects and blocks water flow, causing backups. This is a recipe for disaster. True or False: Ice dams only form after a heavy snowfall. False. An ice dam can occur with little to no snow on your roof. It forms because of ice accumulation. You would be surprised by how little moisture it actually takes. A heavy frozen rain or a dusting of snow can be enough to create a problem. However, while not the only factor, a heavy snowfall does increase the chances of ice dam formation. An ice dam is no joke. And, the ultimate truth about ice dams is that when one forms, it can wreak havoc on your roof. Avoid winter roof damage this year. Contact the Roof Guy for a free roof evaluation. You can trust our team to make sure your roof is ready to weather through whatever the season throws at it!